Damien Rice (born 7 December 1973) is an Irish singer-songwriter and musician. As a musician he plays the guitar, piano, clarinet and percussion. Rice began his musical career as a member of the 1990s rock group Juniper, releasing two singles with the band. However, because of increasing interference from their record label, Polygram, he decided to leave the band and pursue a solo career. Striking out on his own Rice spent time living as a farmer in Tuscany and later busked his way around Europe before returning to Ireland. After getting into contact with his second cousin, music producer David Arnold, Rice sent him a demo of his work, which impressed Arnold enough that he bought him a mobile recording studio so he could record his debut. 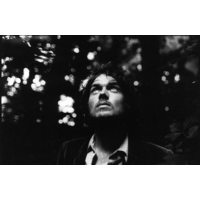 After collaborating with several artists throughout Ireland and England, Rice released his debut O on the 1st of February 2002, which peaked at #8 on the UK albums chart and went on to win the Shortlist music prize. O also produced three top 30 singles in the UK, "Cannonball", "The Blower's Daughter" and "Volcano". Rice released his second album 9 in 2006. The Irish Times placed Rice at number thirty four in a list of "The Best 50 Irish Acts Right Now" in April 2009, referring to him as "the quiet one, the intense one, the singer-songwriter most revered by the other quiet and intense ones" and as "a most excruciatingly honest songwriter."